Tin with nice lithograph image. 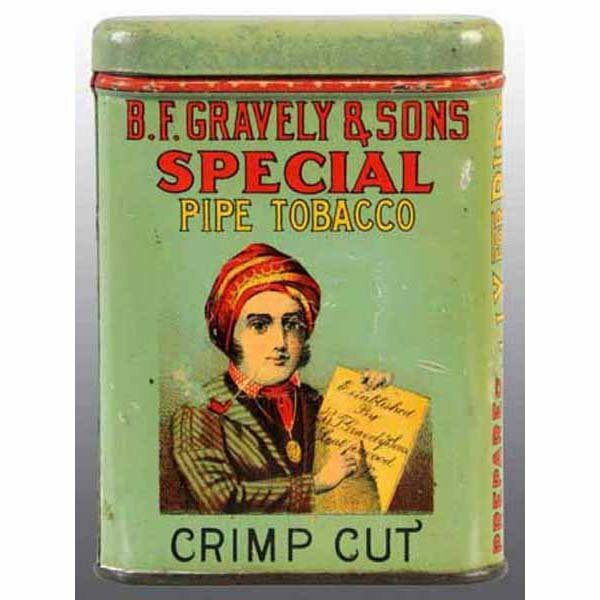 Tin reads ” B.F. Graveley & Sons Special Pipe Tobacco Crimp Cut” manufactured by R.J. Reynolds, Winston-Salem (Factory No. 256, North Carolina) Size 4.5″ x 3″, there is a smaller and rarer tin that measures 4″ x 3″.